The Knokel charge LED desk lamp is an adjustable, modern styled LED task light that includes a wireless charging pad with Qi inductive charging technology. Many smartphones have Qi technology built in, so just place your phone on the pad and it will charge right up. No cords, no mess. It's that easy! Our product has been tested and verified to be safe and in compliance with the Qi standard. A USB port is located on the base and can charge up a second device simultaneously. 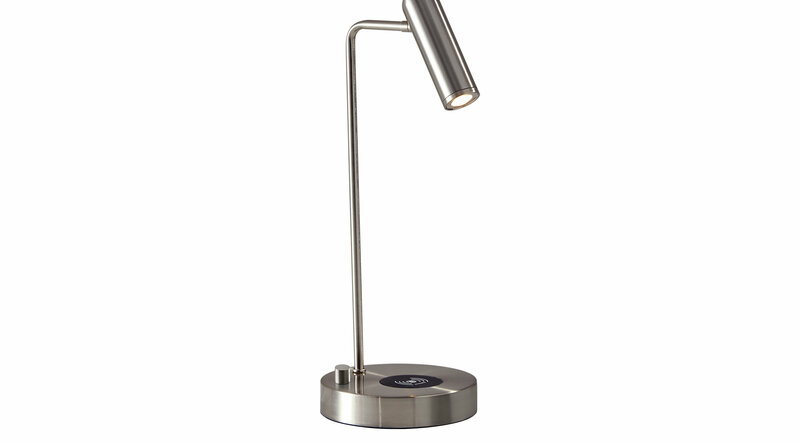 This table lamp is unique in that you can use the charge pad, the USB and the 5 Watt LED light all at the same time with maximum efficiency of all three. A simple on/off rotary switch on the base turns the light on and off.